Over the last few years Nino Barraco has become a real favourite amongst wine lovers in the United Kingdom. He is a man with strong convictions, a guy who through sheer passion and hard work is transforming the way we think about his region, Marsala. It is always a pleasure to welcome him back to London. 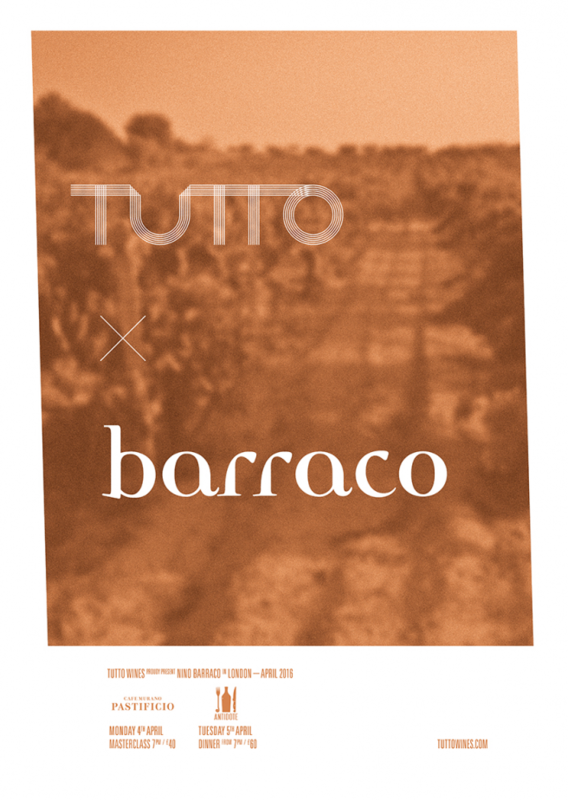 Like many in the region, the Barraco family have for a long time grown grapes, but never bottled their own wine for sale. Nino saw a real potential in the land and took over the family vineyards in 2004. To focus his work, be began with some clear guiding principles. He was to work organically and to make wines from single varieties and single vineyards, in the hope of giving a rarely seen insight into Marsala’s terroir. He produces wines that positively scream of where they are from. They speak of Marsala’s barren, windswept dunes, of the Sicilian sunshine and most importantly, the sea. In this hot, dry landscape the sea is Nino’s saviour, allowing freshness and giving a savoury, saline edge which lends balance and detail. His riffs on local grapes Catarratto, Zibibbo, Grillo and Nero d’Avola are quite unlike any other wines we have tried. We hope that you can join us at one of the following events. There are few people as qualified to offer an insight into the world of Marsala as Nino. His passion for and understanding of the region is unrivalled and he speaks with love and sincerity when describing it. Join Nino for aperitivo before sitting down to share salumi, cheese, wine and stories as Nino guides us through Marsala, it’s vineyards and it’s unique, exotic grapes. Guests will enjoy the following wines. On Tuesday 5th April, Nino will be hosting a dinner at Antidote in Soho pairing his wines with the wonderful cooking of Chef Michael Hazlewood. The evening will begin upstairs where we will enjoy a glass of Nino’s Vignammare as he introduces us to Marsala. We’ll then sit down for a four course menu from Michael and some very special older vintages and rare bottles that Nino has been generous enough to share from his cellar. Nino will be on hand to guide us through the stories behind each.